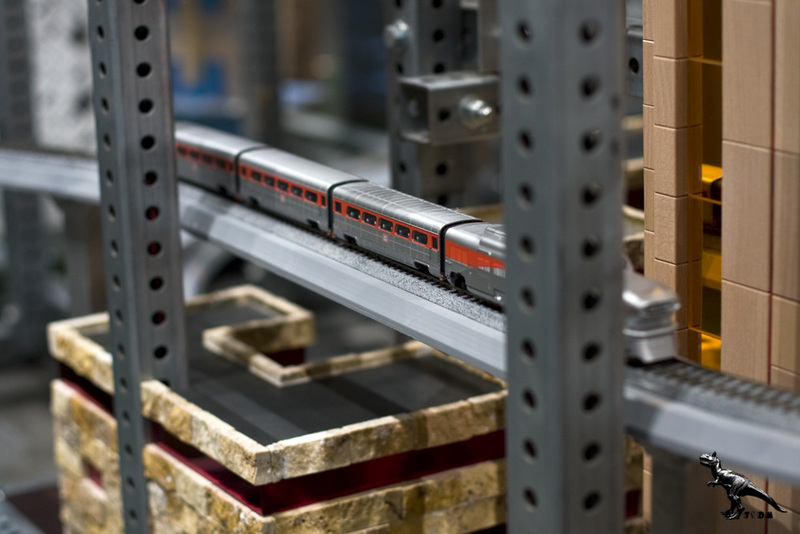 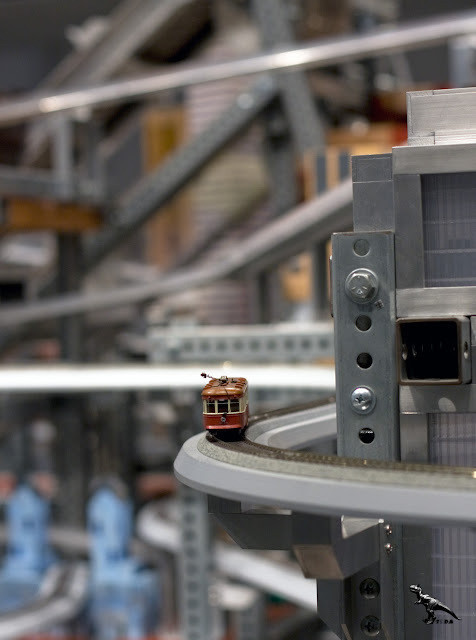 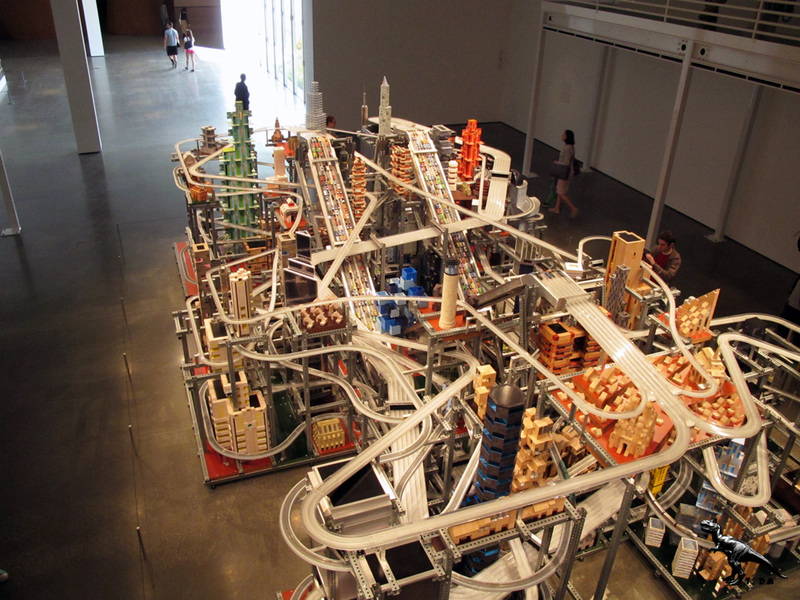 Chris Burden's Metropolis II is an intense kinetic sculpture, modeled after a fast paced, frenetic modern city. Steel beams form an eclectic grid interwoven with an elaborate system of 18 roadways, including one 6 lane freeway, and HO scale train tracks. 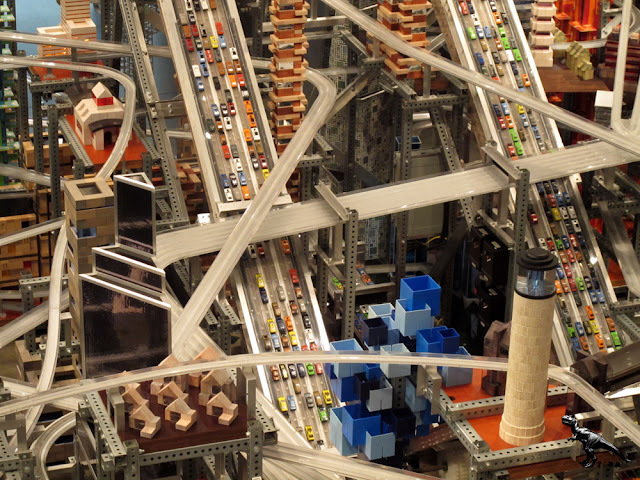 Miniature cars speed through the city at 240 scale miles per hour; every hour, the equivalent of approximately 100,000 cars circulate through the dense network of buildings. According to Burden, "The noise, the continuous flow of the trains, and the speeding toy cars, produces in the viewer the stress of living in a dynamic, active and bustling 21st Century city." 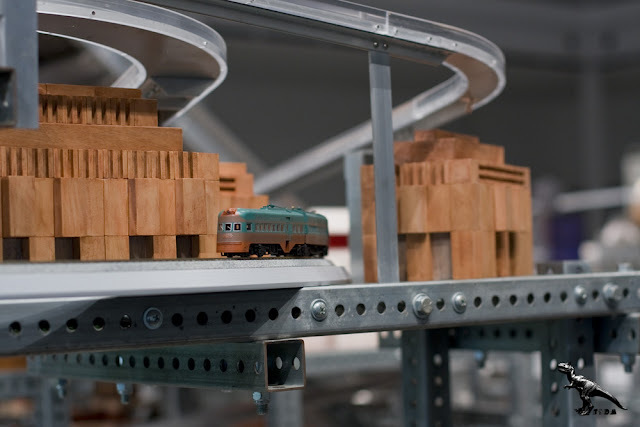 This would be a fun city to live in.